"ANGELS SWING" is a project with mid-century American pop and jazz from WWII era and gratitude for legendary American jazz musicians. "CUPIE DANNY" is a project with Cuban musician "Danny Rojo" who is a model of the doll, which Seina created. Cupie Danny met and beloved by many people & famous latin musicians. "JAPONÉSON" is a friendship project with Cuban musicians. Seina('CHOCO') recorded "POR LA 'CHOCOLATE" with 18 Cuban musicians. You can hear sounds and energy of Cuban musicians who are having great joy and love for music and people. Born in Kitakyushu City, Fukuoka-ken, Japan. Seina is a Japanese jazz vocalist who sings standard American pops in the 1930's and the 1940's. She especially loves popular songs from the World War II era. In 1996, as a vocalist of a band, she started to sing in New York at various dining spaces where many elderly people get together. The next year, the project titled "I Have a Dream...Seina" begun. In 1999, she produced a CD which took three years to complete, including songs that were performed together with American musicians who lived in the World War II era. This CD was sent, as a gift, to 3500 nursing homes in the U.S. and the event was widely reported by the media. Later, she stepped away from the field of music for a while. In 2008, she visited Jazz legend Leonard Gaskin, who had kept supporting the project. She organized the concert and sang, after eight years of silence, at a nursing home in New York which was dedicated to Mr. Gaskin. The event was also reported by the media both in Japan and in the U.S. In 2013, she visited and stayed New York and met Cuban musician Danny Rojo. This encounter opened a door of Latin music and interests for Cuba. End of 2013 she created "CUPIE DANNY" by her joke. But it opened another door of CUba. In 2016, he stayed Cuba as a student. End of 2016, she decided to make an CD album with her Cuban musicians friends. So, JAPONESON was born. A title of the album is "POR LA CHOCOLATE". It means "FOR CHOCOLATE". Her Cuban friends call Seina as "CHOCO-LATE". 1989 Moved to the United States and began studying singing. 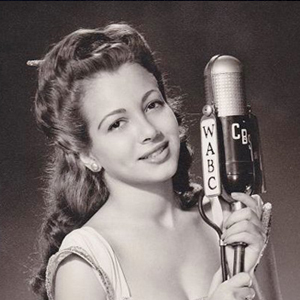 1996 As a vocalist for the swing band led by Sol Yaged, who was the Clarinet coach for the movie "The Benney Goodman Story" she performed for many in restaurants and events in New York, often with prominent old-timer jazz musicians. 1997-1999 Spent three years on the project, "I Have a Dream...Seina/The Songs for Nursing Homes in the U.S", to self produce a CD of WWII era songs with American musicians who had lived through those years. She sent her CD to 3500 nursing homes across the United States. It was reported widely in the media. Left her singing career after the completion of this project. 2008 Visited her mentor, Leonard Gaskin, in New York and held a concert in a nursing home in New York. The event was reported by both the US and Japanese media. 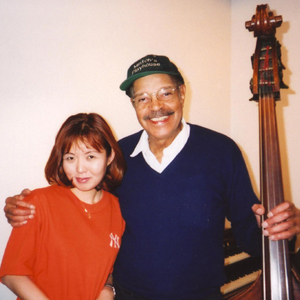 "I'll Be Seeing You, Mr. Leonard Gaskin<"
2011 After rekindling the friendship with American veteran Mr. Donald Versaw, resumed singing activity, Angels Swing, in earnest and recorded her second album "Thanks For the Memory". 2012 Held a concert in Kitakyushu for the first time in 12 years since she left her singing career. Sang the national anthems of Japan and the United States during the celebration of the 236th US Independence Day held at the Consulate of the United States Fukuoka, Japan. 2013 Published a booklet "みらいへ　北九州の戦中戦後" (We Remember You / War time history in Kitakyushu City).Traveled, Hawaii, NYC, Norfolk VA, San Diego, Los Angeles to see places and people related the Pacific War and Korean War.Sang WWII poplar songs at a convention held by American Defenders of Bataan & Corregidor Memorial Society. (Norfolk VA,U.S.A) / Sang the national anthems of Japan and the United States during the celebration of the 237th US Independence Day held at the Consulate of the United States Fukuoka, Japan. 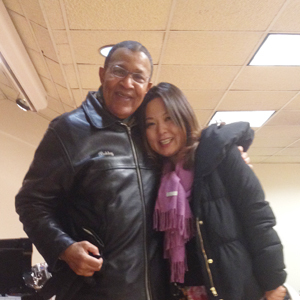 2013-2014 Visited New York and met Cuban musician Danny Rojo. It opened a door of Latin music and Cuba. Created "CUPIE DANNY". 2015 Traveled with CUPIE DANNY and met many of famous Latin musicians in The U.S and Cuba. It is my great pleasure to send you this message. I tell you the first few strains of the first number in your CD nearly brought this old man to tears. Seina, my dear, I can't thank you enough. You have brought a lot of happiness to me today and for tomorrow - lots of tomorrow. "Seina's love for mid-century music, and for those who grew up in that era, comes through loud and clear!!" We received your CD and we wanted you to know, not only how much we appriciate your gift, but how touched we were by your letter, and your reason for recording it! Our residents, many of whom are from the "World War II generation" truly feel you are an "Angel" to send this remarkable gift to brighten their Holiday, and share memories.